Evil Stepsisters. . Wallpaper and background images in the সিন্ড্রেলা club tagged: anastasia and drizella evil stepsisters cinderella disney classic disney photo. 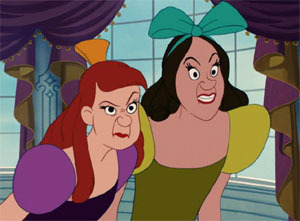 that is really ugly ( the ugly stepsisters).